It is very hard for us to see puppies in the street in this cold night. It is very easy to foster home puppy unless they get bigger and can search for food by them self. We are restricted to bring puppies at the shelter because they might easily get transmitted with diseases as their immune is very low and they are not vaccinated. This little puppy was bitten by a bigger dog and got injured. 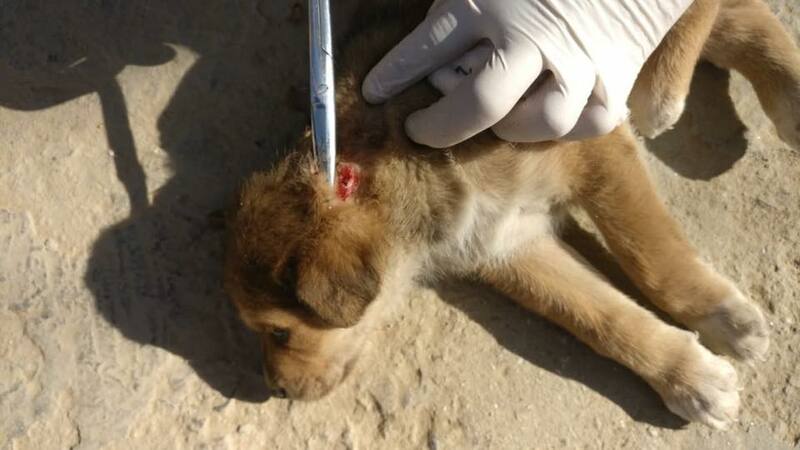 Ayushi Shah from Lalitpur informed about the situation and we went there to help the puppy with the treatment. The puppy is now under her care and we will be following up with the case with treatments regularly.